AdBlue® is not a fuel additive, nor is it a fuel! It is a special fluid used with fuel combustion catalysts in order to significantly reduce emissions of nitrogen oxides (NOX). 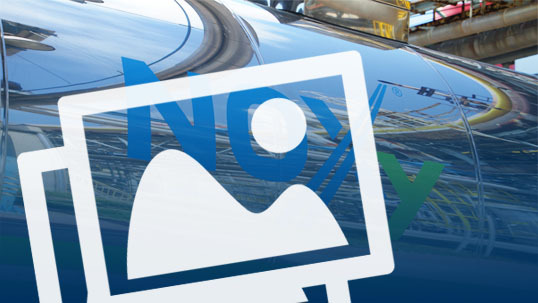 The manufacturer – Grupa Azoty – offers AdBlue® under the brand name NOXy® as part of their RedNOx® offer. Grupa Azoty applies every effort in the production and distribution of AdBlue® to make for the proper use of the product in a diesel engine. The raw material for the production of AdBlue is the purest quality urea. Particular attention is focused on the conditions in product transport and storage to prevent contamination. In the interest of safety of the environment, the European Union has introduced restrictions on the emission of harmful substances by motor vehicles. EU legislation allowed to significantly limit pollution mainly caused by excessive release to the atmosphere of nitrogen oxides (NOx), particulate matter (PM), hydrocarbons (HC) and carbon oxides (CO). In order for the motor vehicles to meet the emission standards, the Selective Catalytic Reduction (SCR) technology has been developed that has enabled vehicles with diesel engines to obtain approvals and freely navigate through EU roads. The SCR technology uses an aqueous solution of urea at a concentration of 32,5%, known under the name AdBlue®, which reduces harmful nitrogen oxides to non-toxic compounds.